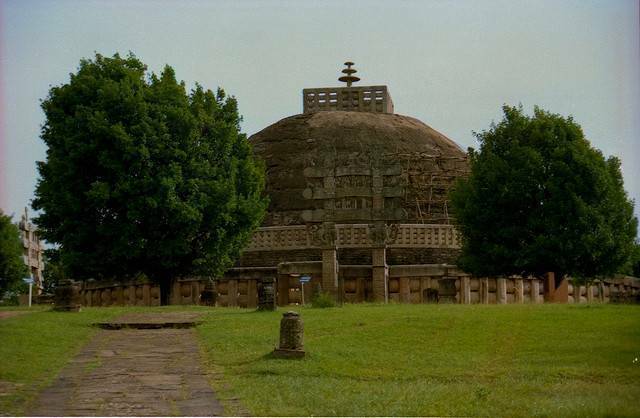 Sanchi stupa is a Buddhist monument, located about 50 KMs from Bhopal and is a UNESCO World Heritage Site. The stupas were built around 3rd century by king Asoka, a renowned follower of Buddhism. Stupas are large hemispherical domes, in which Buddha's relics were kept in their central chamber. One of the best preserved stupas in India is the Sanchi Stupa. It is surrounded by a railing with four carved gateways facing all the four directions.